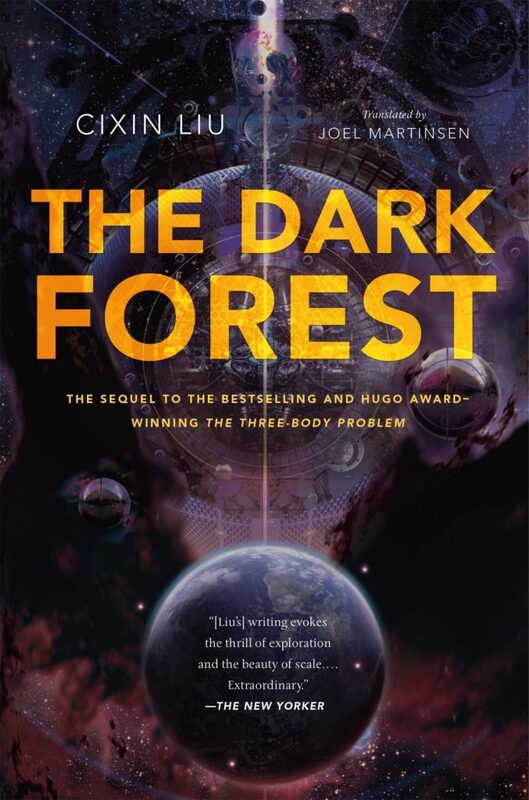 The Dark Forest is a sequel to the Three-Body Problem, one of the best science fiction novels I ever read. Three Body starts with a bang, the Cultural Revolution in Beijing, China. Characters were well developed, and both sentimental and ghastly motivations are pained as flowing naturally from surviving the insanity of that era. 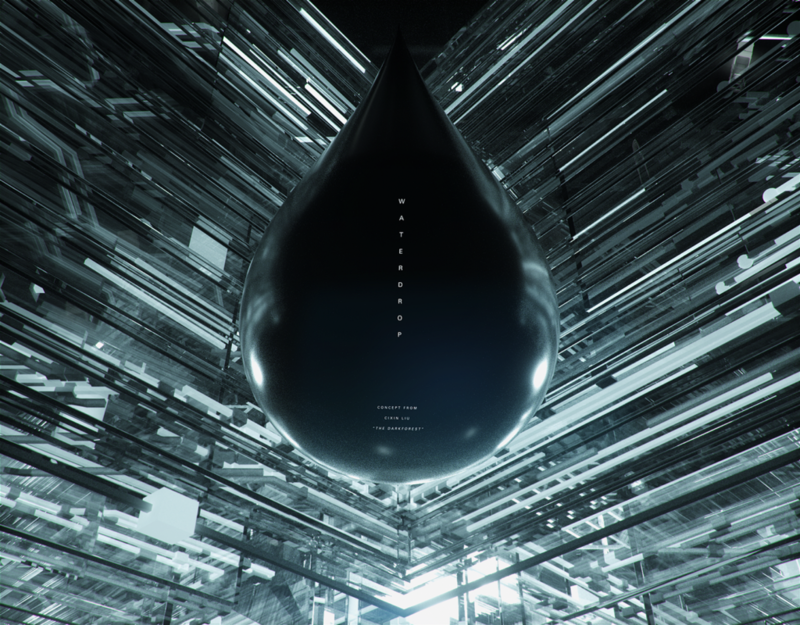 Three Body also balanced two different time periods, the Cultural Revolution and the near future, as well as a virtual environment that closely connects the other two settings. It is a “hard” science fiction story, where special attention is given to explaining the plausibility and possible mechanics of future technology. And last, Three-Body carefully navigated (and even more carefully, comments upon) the censored and politically-monitored nature of speech in China. The Dark Forest has none of these virtues. Substantial sections appear to be written by a Communist party literary committee, which they may well have been. Characters are two-dimensional tropes, and social motivation is simply bizarre. The ending is easily guessed. It is twice as long. Grudgingly, I will read the next book in the series and finish the trilogy. So many things are radically different I wonder if The Dark Forest was originally supposed to have continuity with Three-Body at all. While Three-Body invokes hard science fiction extensively, one could substitute the aliens for Russians, Japanese, or Americans, and the story would make sense. Indeed, that may have been the problem. I’m aware of at least one other award winning science fiction where the original text of the sequel was rewritten to have continuity with the first book (Ender’s Game and Speaker for the Dead), so it would not surprise me the same thing happened here. While the length of The Dark Forest is about twice the length, a major theme of Three-Body (the difficulty of individuals aligning themselves with the goals of a government organization, from low-level lumberjacks to high-level politburo members) is entirely gone. Every government official appears to be basically productive and well-meaning. “Neighborhood committee” members and “political officers” receive special adulation. In keeping with the Communist Party discipline that appears to be behind much of the book, religion is almost entirely expunged. The Catholic and Buddhist architecture of Beijing is described in Three Body, as are some contrasts between those religions. 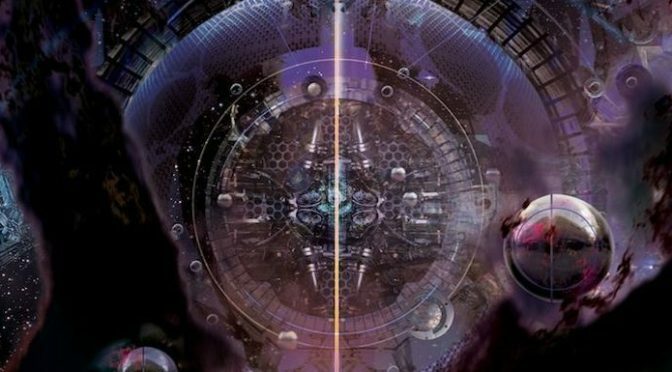 Understanding the enigmatic prayer, ‘Lord, save my Lord’ is part of the reader’s motivation to unravel the mystery, and the unique perspective of author Cixin Liu means Three-Body is neither a religious tract nor an atheist screed. That’s replaced with an almost complete absence of religion except as a dressing for basic emotions. Early in the book Osama bin Laden states that the core of all religious belief is simply hatred, while later in the book a character id described as an angel and as God himself for taking military command. Buried in The Dark Forest is half of an excellent sequel. Three-Body ended in a moment of heightened tension for all characters. In the very last page two characters discuss the situation, and an interesting metaphor is raised. That metaphor is abandoned in Dark Forest, the tension dissipates almost completely, and all important actions are the result of deus ex machina — arbitrary events and decisions that are explained afterwards. The final communication process (for all war is communication) is interesting, but the reader only sees the end of it, as a tremendous amount just happens off-page. In Three-Body intelligent and learned individuals discuss ideas as they are using them. The shock of The Dark Forest‘s ending depends entirely on not being familiar with game theory or bargaining. Reading The Dark Forest was fascinating, because besides the story and the writing, there is a real-life story about an original science fiction epic coming out of China. Something is happening in our real world, and both The Three-Body Problem and The Dark Forest are part of it. For this reason I will finish the trilogy, and hope it recovers. For now, I am not optimistic. I read The Dark Forest in the audible edition.